Peat production. 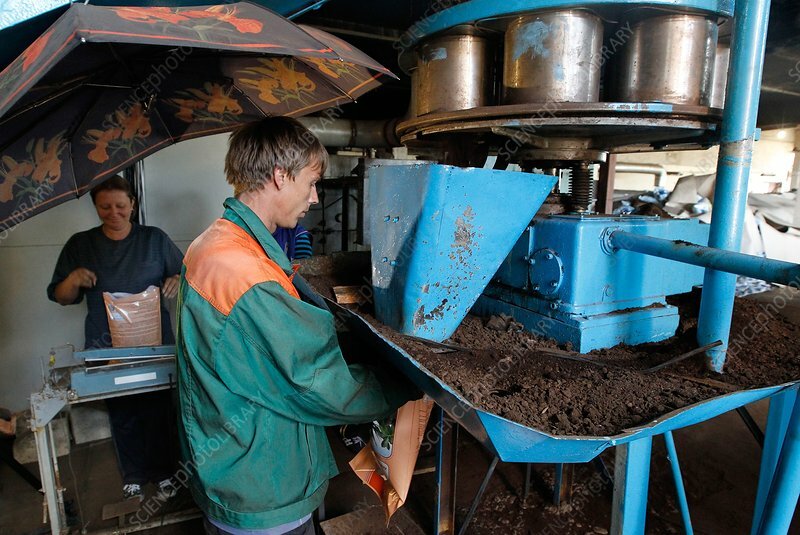 A worker bagging peat for domestic garden use at a factory. Peat is an accumulation of partially decayed vegetation. Peat bogs are drained and the dried vegetable matter used as a fertiliser in gardening and agriculture and as a fuel. Although derived from vegetation, peat is not classed as a biofuel because mining outstrips regrowth. Photographed at Shatura, Russia.